Because of the whole whirlwind around a certain NYT article (The Circus of Fashion), I feel I have to start this post off with a quick explanation. These features, and any features on just articles of clothing or accessories, are items I purchase myself. Any views expressed in my posts are my own opinions (unless otherwise specified with a "sponsored by" at the bottom of the post). As much as I like to think I'm famous, I'm not. And this girl right here (that's me I'm referring to) works damn hard to buy my favorite goodies. If I EVER receive anything for free you will see a c/o in front of the product, otherwise, I pay for it all by myself (with the occasional gift from the BF). Have you figured it out yet? 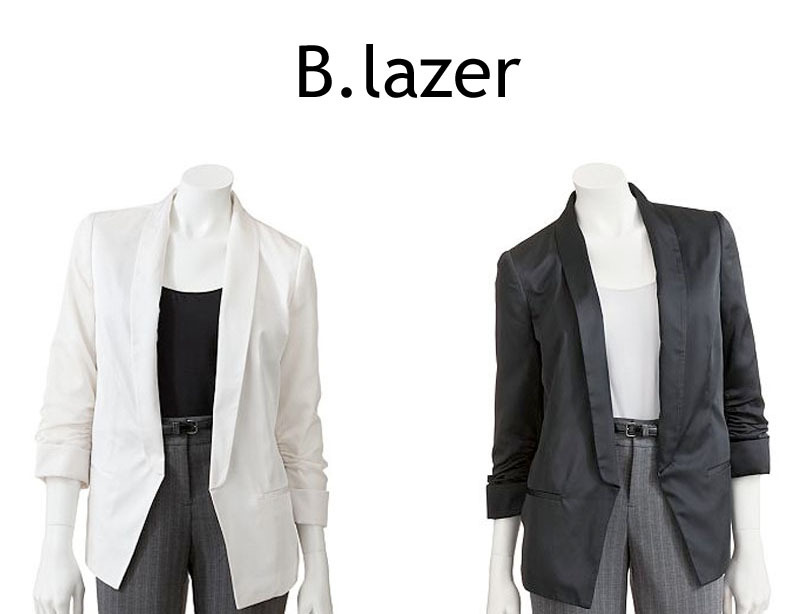 To continue on this materialism bend, let me introduce you to the blazer. If you haven't noticed, I'm not a blazer person (it's a trend I just could not get behind). And then, this reality TV star (who I secretly love) came out with this ridiculously fabulous line for Kohls. The only blazers I'm likely to wear? You can now proceed to the next round. material girls of the world unite! i love the cut of this blazer and had to do a double take when i read kohl's. you've made my wallet very happy! so funny. you just said this in a comment to me - about your dislike of blazers. I can totally see why you like these though. A touch of gaud with just the right amount of relaxedness. Your style is like, blinged-out, but chill and effortless as the same time. So stick to what you do. unless, of course, you don't want to. Oh, and my materialism may rival yours. My mom is so overwhelmed with my addiction she basically considers me disordered.